One of the simplest things that anyone can do to be a little bit more sustainable is to stop using plastic carrier bags. Here in Wales they are no longer given free in shops and this encourages lots of people to have their own shopping bags. Perhaps the simplest option is the cotton bag – easy to carry around until needed, washable and ultimately compostable. We have lots of these – in the car, in the house and in handbag/pockets. Some of them have been given as gifts, some as freebies from shops/companies, but quite a number of them I have made myself. All our bought or free bags are a simple envelope of cotton – two pieces stitched together flat. This means that they fold up small, but they do not hold a lot. This design is not ideal for bulkier items or carrying lots of books, for example. 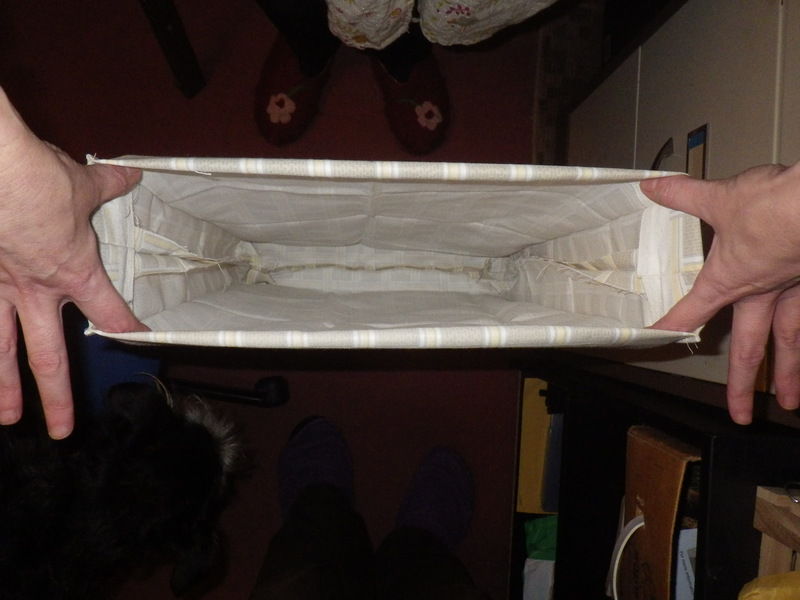 I have, therefore, made some cotton bags that have a much greater capacity because they have a gusset. 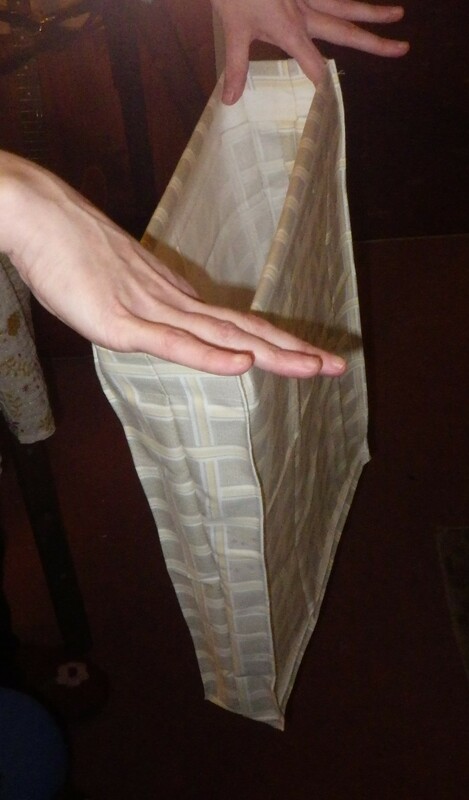 After a bit of experimentation my mum came up with a relatively straightforward design for these that can be made from only two pieces of fabric (or one if it’s long and thin) plus the handles. 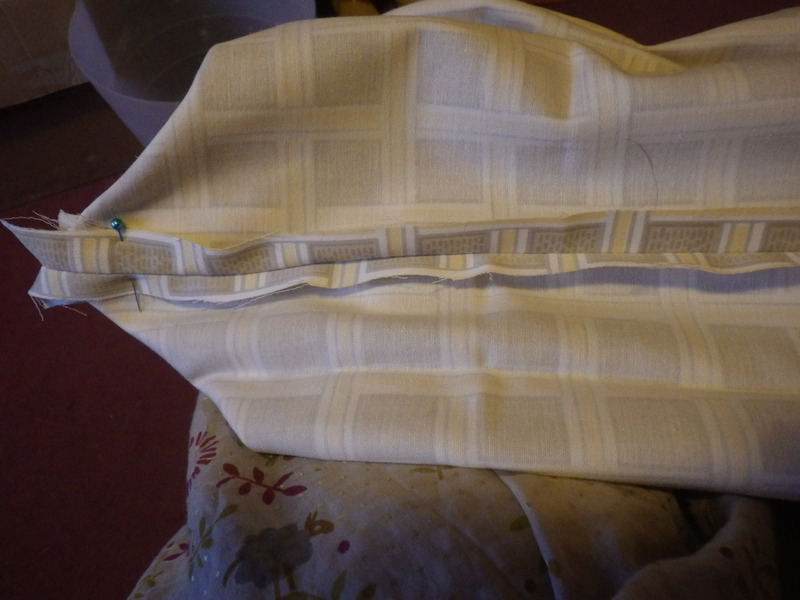 These I stitched together (right sides facing), leaving one of the short sides open and then I hemmed the top of the bag. Now comes the bit that’s easy to do, but slightly complicated to explain. 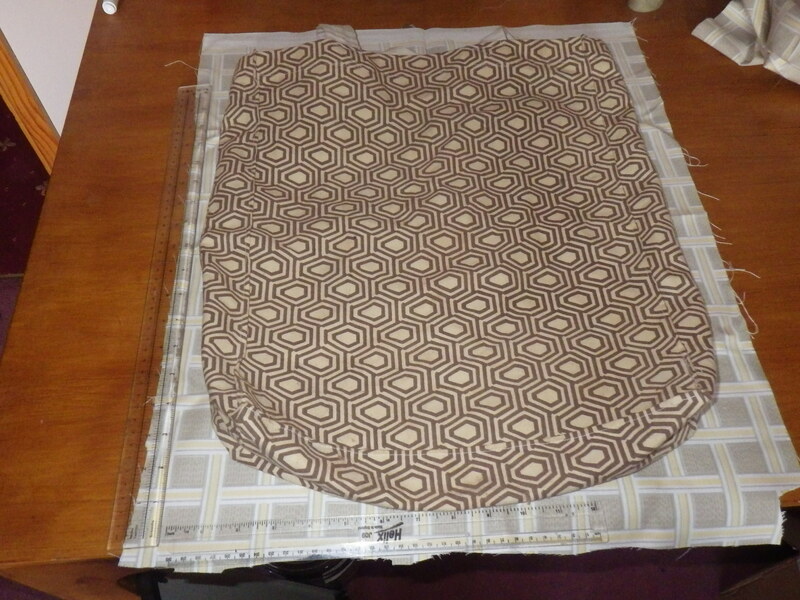 At each of the bottom corners, you need to flatten the seam along what will be the bottom of the bag (the short seam) against the side seam to form a point. 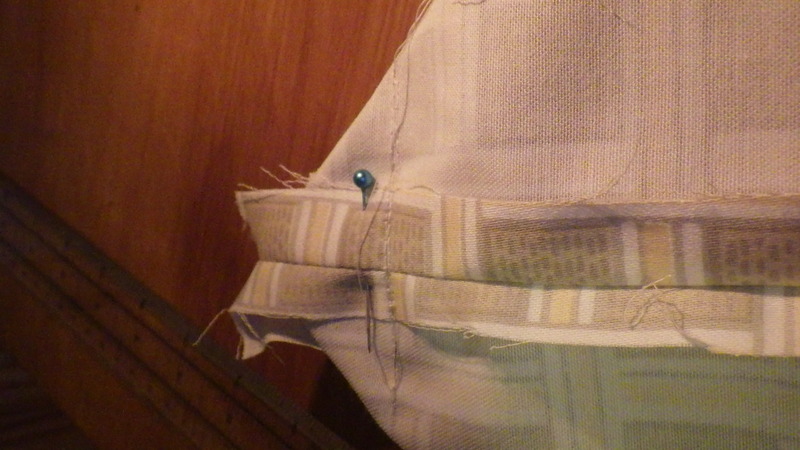 Then you stitch at right angles 3-4 cm away from the point, to separate off the corners into little right-angled triangles. Pin it first to make sure you’ve got it right and if you want to check, turn the bag right-side-out and you should have formed a gusset for the base of the bag. 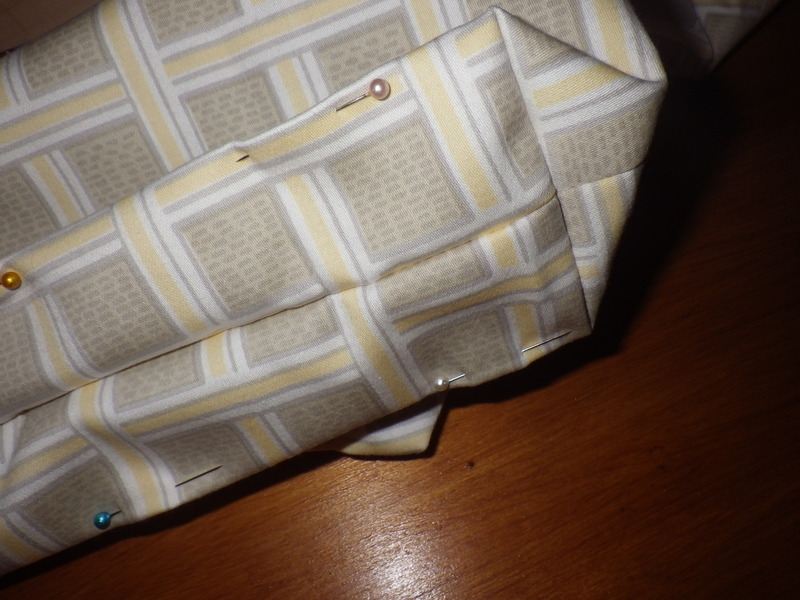 When you are happy, sew these short seams on the inside and turn the bag right side out. 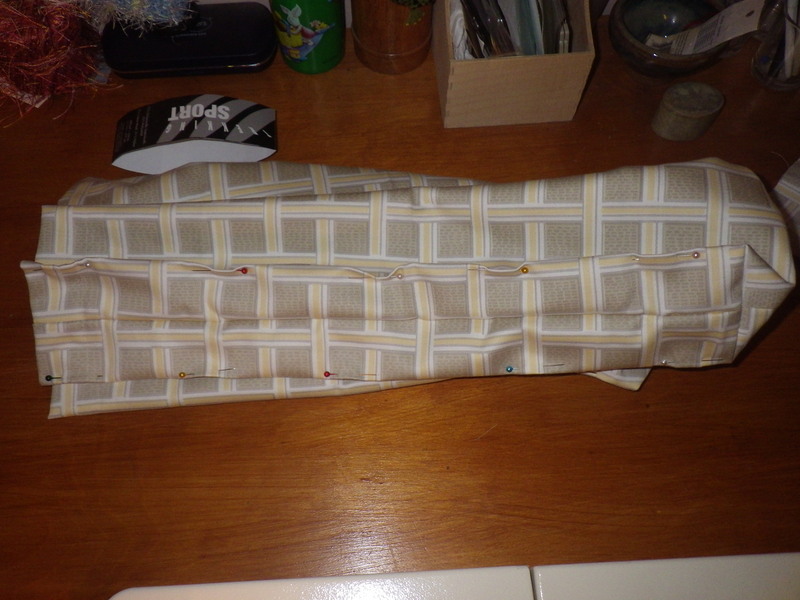 You will be left with two little triangular flaps of fabric inside the bag. 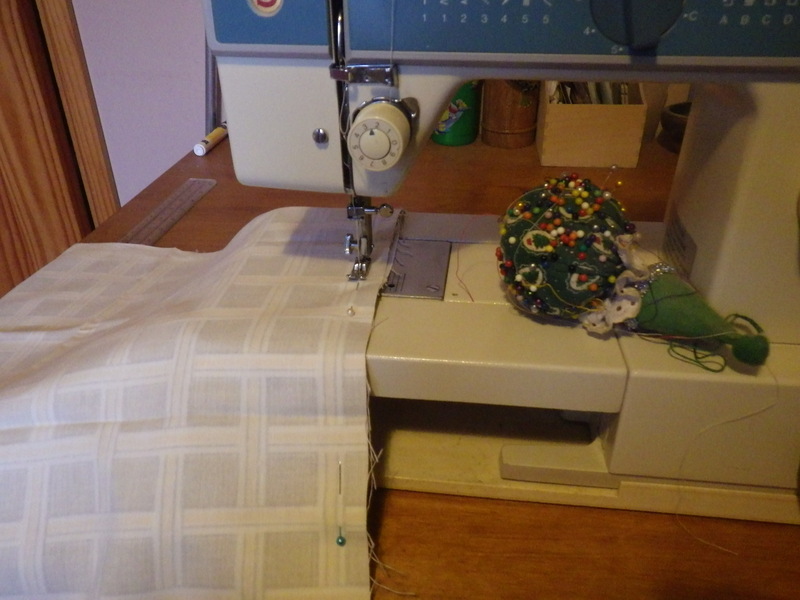 Now all you need to do is sew along the edges between the gusset and the main sides of the bag (in each case sew on the right side and don’t go quite as far as the corner) to give the bag structure. 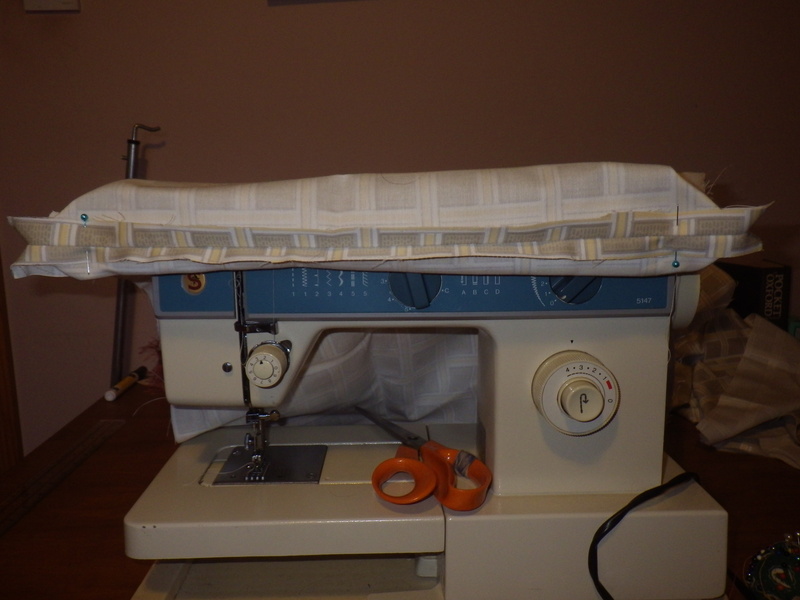 You can then make handles out of tubes of fabric or webbing of the desired length and attach these firmly to the top of the bag. Once you get the hang of it, this is a really easy pattern. 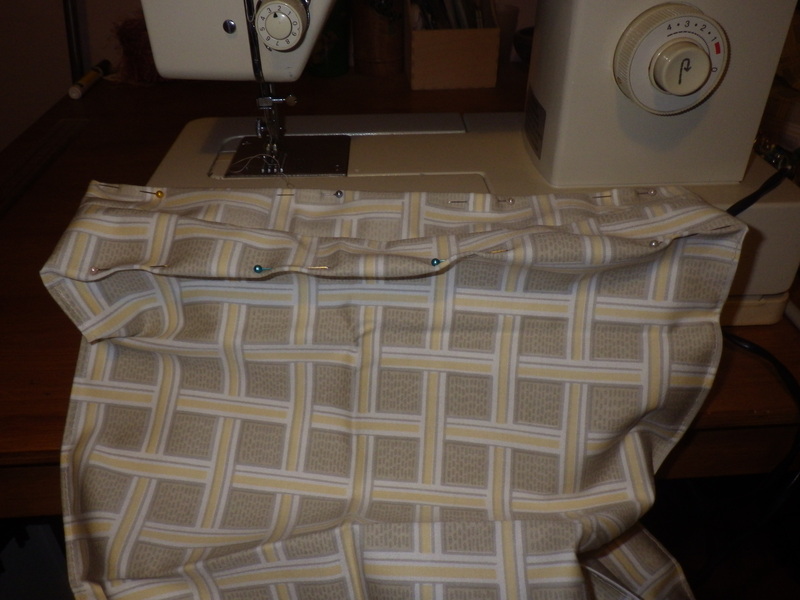 You can even line the bag by making an inner in exactly the same way and attaching them wrong sides together. 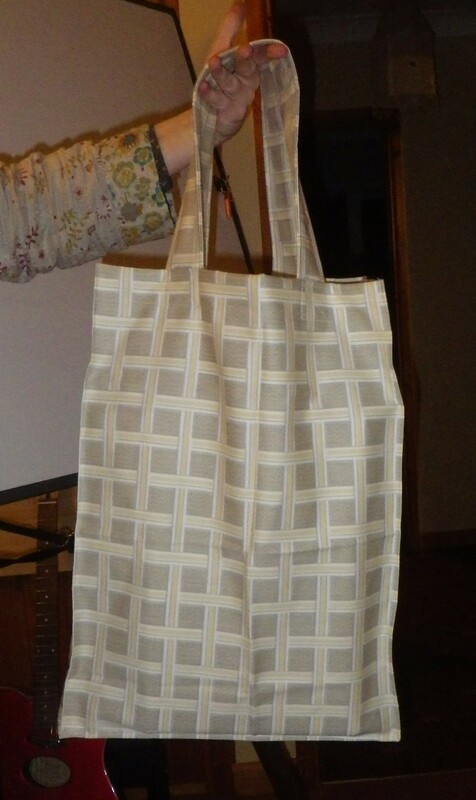 If you don’t sew, this probably all sounds like gobbledygook to you, but if you do sew and have a sewing machine, it’s a great way to use up fabric… the bag I made and photographed for this post was created using a piece of material I have had for about 30 years!! 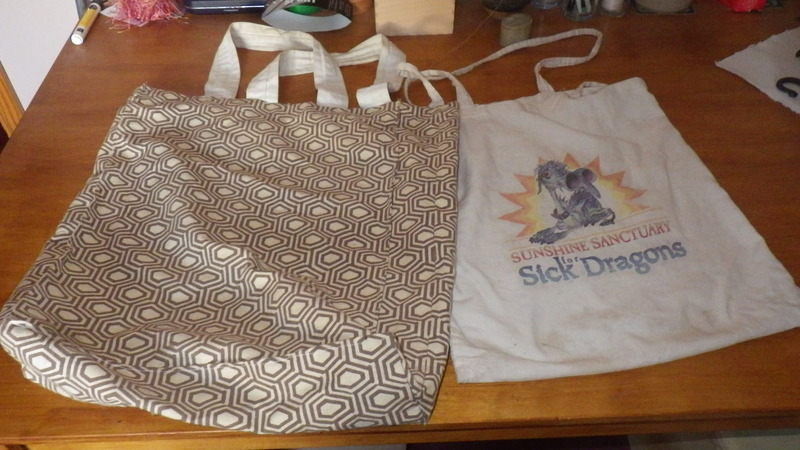 I am hoping that my homemade bags will last many years, whilst I see some of the bought ones falling to pieces already.